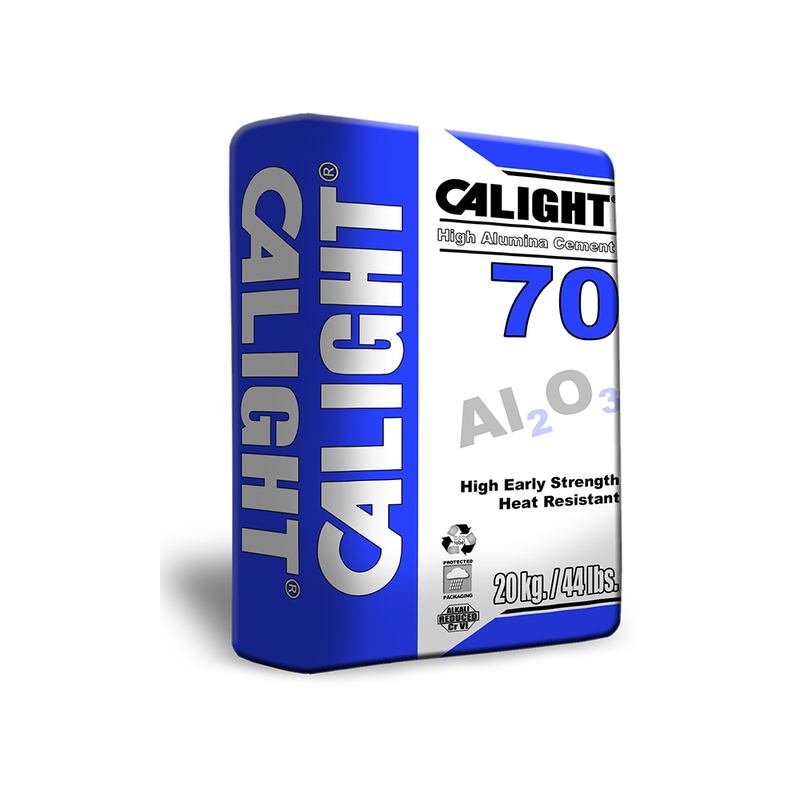 Calight 70 | Caltra Nederland B.V.
CALIGHT® 70 is a high alumina cement containing about 70 % of Al2O3. Because this kind of cement gives no free lime like Portlandcement it makes it resistant to high temperatures (well above 1600ºC.) In the building chemistry industry it is often used to accelerate the setting of white Portlandcement. Because of its very high whiteness it is often used in rapid drying wall finishers- repair mortars – marble tile adhesives and tile grouts. It can easily be pigmented with inorganic oxides. The cement is white.